This evening as I stepped off the shuttle from DCA to LGA I overheard a young female business traveler beside me say “Mommy just landed, I’ll be home soon to tuck you in and kiss you goodnight”. It made me smile. I can’t recount the number of times I’ve said that to my children and then prayed the traffic from NY to CT would cooperate enabling me to fulfill that promise. It got me thinking about just how many other female travelers around the world were making that exact promise at that moment, and what if anything can be done to help alleviate some of the stress and quite frankly “mommy guilt” for women travelers. Let’s face it, today’s modern woman encapsulates what it means to truly multitask – often playing the role of mother, homemaker and business woman all in one. Add in all the demands and overall stress of business travel and you find a unique opportunity to address a critical need of one of the largest growing target markets for airlines, female business travelers. In 2013, Amadeus, a global distribution system selling tickets for various airlines, outlined several rising trends in the travel industry including the rise of the female business traveler. They estimated that the rise of international business trips made by women will increase by 400 percent by 2030, a statistic influencing much of the travel sector to pin down this previously untapped market. Making up to 85 percent of household decisions, it stands to reason that women influence the travel industry. Representing some of the most loyal customers, women satisfied with their business travel experience, whether it be on the plane or in the lounge, will book with the same airline again for future business or personal travel. Research tells that improvements for women’s travel don’t include cliché gender-specific amenities like pink bathrooms and plush bathrobes. Instead, women specify needing genderless amenities including quality customer service, healthy dining options and cleanliness among others. Without fail, these simple suggestions also improve the business travel experience for all genders. Another request found through secondary research conducted by Sodexo noted that females prefer their travel experience to be quiet, primarily in airline lounges. In addition to quietness, natural lighting and privacy also ranked high among the needs of female travelers. Privacy, a feeling most of us experience in the confinements of homes, make business travel that much more comforting for those constantly on the road. In conclusion, research shows female travelers to be loyal to airline companies where they’ve had a quality travel experience. Because of this, women are more likely to join customer loyalty programs and apply for travel-based credit cards linked with member benefits making them a pursuable target market for airline companies. We also know female business travelers to be influential. Based on their ability to dictate household decisions, and adhere to word-of-mouth advice, if a woman experiences great service with an airline she’ll use that same company for both future business endeavors and personal family vacations. Lastly, airlines are beginning to recognize that women’s suggestions for elevated service not only improve the customer experience for females, but are also beneficial for male travelers. In total, meeting the needs of female business travelers include providing clean amenities, exceptional customer service and a sense of quietness and privacy. As the leader of Quality of Life Services, we know the epitome of exceptional service hinges on all customers’ needs, regardless of gender. 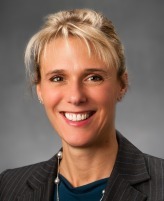 Jennifer Williamson is Senior Vice President of Corporate Communications for Sodexo North America. Sodexo’s 133,000 employees in the U.S., Canada and Puerto Rico provide more than 100 unique services that improve performance for 9,000 client partners and improve Quality of Life for 15 million consumers every day.